Today’s post is the last in a series on the three types of change resources in the world of football. So far, we’ve talked about a Builder (Urban Meyer) and a Visionary ( Darrel “Mouse” Davis). Today we’ll be talking about a very successful Maintainer. Maintainers typically like being ‘experts.’ Although they don’t often get much publicity, Maintainers are key to the stability of every organization. They excel at doing the same thing, the same way every time…and that’s what University of Alabama coach Nick Saban does. His teams win football games (and championships) almost every year. Saban’s detailed plan for winning is affectionately called “The Process” around the university’s Tuscaloosa home and it encompasses everything from his players summer workouts to what he eats for breakfast (Little Debbie Oatmeal Creme Pies thank you very much). Saban wants things done the same way (HIS way) every time with the belief that if everyone does their job correctly, they will be successful. Saban’s (some would say maniacal) need to control the details doesn’t mean that he’s not open to new ideas. He was an early adopter of academic advisers and sports psychiatrists to help his teams be successful in less obvious facets of the game. Maintainers can get a bad rap for wanting to ‘keep the process going’. 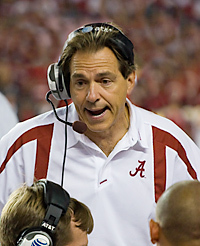 However, Saban shows us that doing the right things year after year can produce some pretty impressive results. Football Program Visionaries – Who is Darrel Davis? Today’s post is the second in a series on the three types of change resources in the world of football. Last time, we talked about a Builder, Urban Meyer. Today we’re going to talk about Darrel “Mouse” Davis, a true football visionary. Haven’t heard of him? Join the club. As a reminder, Visionaries seldom live in the present because they prefer to look at the opportunities of the future. They are big idea people, often seeing opportunities before anyone else. Many successful football coaches in the 1960s like Woody Hayes espoused the ‘three yards and a cloud of dust’ philosophy. Hayes and Darrell Royal at Texas believed that ‘three things can happen to a forward pass and two of them are bad.’ So how did we get from that era to today’s multiple receiver, no huddle attack? Say hello to Darrel “Mouse” Davis. In the early 1960s as a high school coach in Oregon, he believed his young charges could take on Joe Paterno’s Penn State defense. Why? An offense that spread the ball to as many as four wide receivers. Davis spread (no pun intended) the news about his offense at all levels of football. In over 50 years, he coached high schoolers, collegians, and professionals (impressively, in four leagues…the CFL, NFL, Arena, and USFL). How does a small town high school coach impact decades worth of football players? He was a Visionary. He could see the opportunities that passing the ball would give his team and he took full advantage of them. So, although there are surely some famous Visionaries (John F. Kennedy, Jimmy Wales (Wikipedia) and, some would argue, Steve Jobs), they aren’t all ‘celebrated leaders.’ Darrel Davis spent his lifetime ‘spreading the news’ about his vision and it impacted millions…even if few football fans know his name. We’re all surrounded by Visionaries, Builders, and Maintainers. The next three posts will describe one of each of the three types in the world of football. Today, we’ll be talking about a famous Builder, Urban Meyer. As a reminder, Builders like to ‘construct’ things (people, organizations, processes, relationships) until they no longer see opportunities for improvement. Then, it’s time to find something else to build. Love him or hate him, Meyer’s name is synonymous with success in College Football. In the last 10 years, he has two undefeated seasons (Utah – 2004 and Ohio State – 2012) and two National Championships (Florida – 2006 and 2008). The success of 2012 has led to great expectations for 2013. Since Meyer has dealt with this before (I mean, the guy won two National Championships in three years! ), you might think maintaining success is easy for him. Not so fast. Meyer sure sounds like a Builder to me. He’s energized by building a new program (Ohio State is his fourth(!) turnaround). At the same time, he realizes that maintaining is hard (even life threatening). With success that has come via shady talent, Meyer is a polarizing figure who doesn’t seem to put down roots for long. If he has a couple more successful seasons with the Buckeyes, I won’t be surprised if he finds the stress of maintaining too much to deal with. Then, if he continues his Builder behavior, he will go looking for a new challenge. Maybe the NFL? The folks at Disney are experts at making the line to the front of an attraction both winding and interesting. As you make your way back and forth in the well engineered lines, they want you to focus less on the wait and more on the great artwork, interactive screens, and celebrity videos. The lesson? If you can’t make the journey shorter, at least make it exciting! As you lead changes, look for ‘fun’ ways to communicate about the process of changing and the final result. One great example I’ve seen was the creation of a superhero and corresponding comic strip. A new strip was released regularly to explain the current progress of the project. It wasn’t the finest artwork but it definitely got my attention. Don’t want to wait in line? Has Disney got a deal for you! Just place your ticket in the FastPass terminal and get a pass to the front of the line. 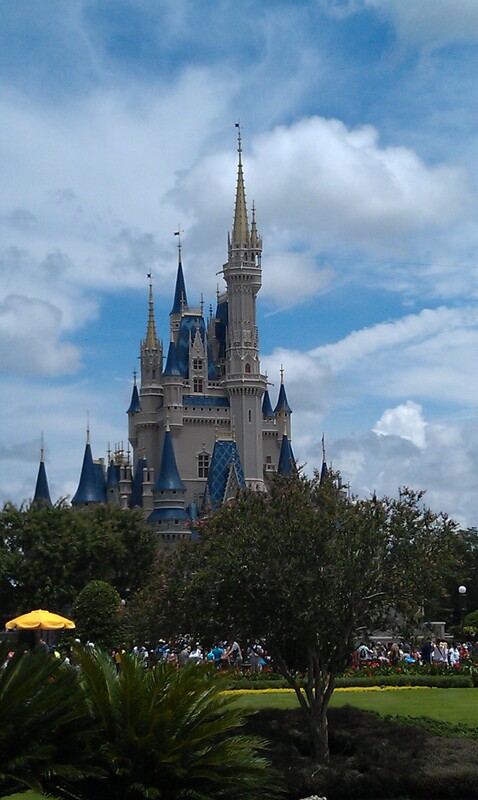 There’s only one catch, your FastPass is only good for a specific hour later in the day. In effect, you give up the right to hold a FastPass for any other ride for the benefit of spending less time in line for the ride you really want to ride (and presumably, ride less popular rides). The lesson? Give people as many choices as possible. You may find people who want to change faster than you have planned. Let them take the change ‘FastPass’ and become ambassadors! Disney hospitality is legendary. They want to make sure that you know exactly where to go and what to do while you’re with them. In fact, they do such a great job that it can be jarring when you don’t get the directions you’re expecting (as we didn’t with the ‘pagers’ in the new Dumbo play area at Fantasyland). The lesson? If you’re changing something keep the steps of the process available for all to see. The better people understand the end results, the more support they will give you. So, what about you? What change management lessons have you seen around you today? From Impossible Dream to Reality and Back Again! Recently, I wrote about Daniel Nava, the 70 pound ninth grader who dreamed of playing Major League Baseball. 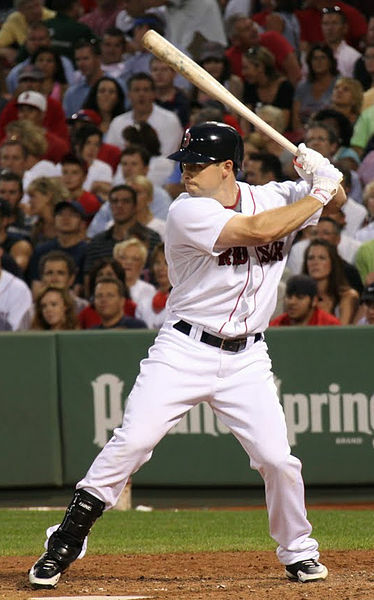 Nava saw his dream come true when he hit a grand slam on the first pitch he saw for the Boston Red Sox in 2010. So, you can imagine the frustration he might have felt as he spent the entire 2011 season in Triple-A, one step away from his dream. After playing in only 88 of Boston’s 162 games in 2012, no one expected Nava to have a major impact in 2013 but, halfway though the season, this writer argues that he deserves a place on the American League All-Star team. Nava won’t be playing in the game tonight but don’t be surprised to see him in the future! From dream (high school) to reality (grand slam in 2010) to dream (2011 in Triple-A) to reality (arguably one of the finest players at his position in the league), Nava’s story shows us that a vision doesn’t always come to pass all at once. There may be many challenges to the vision that come your way but stay true to that initial vision…one day, you may find yourself in a place that you never even imagined! Ever had a dream? A really impossible one? Daniel Nava did. The 70 pound ninth grader dreamed of playing Major League Baseball. Not a unique dream to be sure. Really, don’t most boys dream about scoring a goal, completing a pass, or hitting a home run at the highest level? I sure did. So Daniel’s dream wasn’t unique. Was it realistic? Certainly not in high school where he barely played before his senior year. And not really at Santa Clara University where he served as team manager. But somewhere along the way, Daniel had a growth spurt. And, after years of college and minor league baseball, he stepped up to the plate for the Boston Red Sox at age 27. A little old for a rookie but Daniel’s dream wasn’t affected by time. On June 12, 2010, Daniel’s first opportunity to hit in the highest level of the sport, he did it. He hit a grand slam on the first pitch he saw. Daniel had a vision of what he wanted to do that took more than 10 years to come to pass. That took patience and hard work every day. The future is just a whole lot of what you do right now, strung together. We all have dreams, visions for what we want the future to be like. So ask yourself, “What am I doing right now?”, because that’s a good indication of what your future will look like. 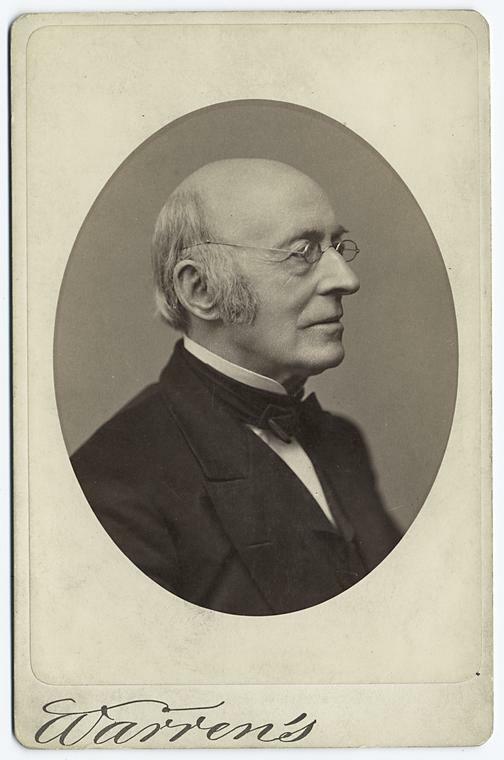 Whenever I get frustrated about how long it takes me to get something done, I just think about ol’ William Lloyd Garrison. Who’s that, you might ask? Well, Mr Garrison spent over 30 years(!) working on the cause of the abolition of slavery. 30 years! That sure seems like a long time to wait. I wonder how that process went for him. observation – discovery – idea – vision – frustration – frustration – attempt – discussion with friends – renewed attempt – work on it every day for 20 minutes, learning – TRIUMPH! I’d say that’s pretty accurate – except for the TRIUMPH part. Still got a few thousand books to sell before getting there. So, whatever you’re doing today (and have been doing for a while), don’t give up! You never know how long it’s going to take before things start going your way. How Do We Make Change Stick? I would be hard pressed to list more than a handful of organizations that have endured longer than 400 years and I guess that you would have a similar problem. Why is it that some ideas succeed for a short time and then don’t last? Sometimes, it seems that even better ideas don’t take root! I think that the secret to success is in the people making it happen. After many years of observing people in the business and civic arenas, I noticed a pattern that gave me insight into why people acted the way they did in situations of organizational or process change. I found that it applied at work, at home, and in volunteer organizations. It even applies across international borders. I am not a psychologist, nor have I done any academic research in this area. However, I believe that knowing what change management personality ‘type’ you are can make a big difference in how you see yourself…and knowing what type others are can help you (and whatever it is you are involved in) be more successful. That’s why I’ve written the book Visionaries, Builders, and Maintainers. I want to help you bring successful change to your organization by helping you identify these critical resources. In my next blog post, I’ll introduce you to these important people. Don’t Outsource Change Management – Do It Yourself! This recent Harvard Business Review post reminds us, “If you want something done right, do it yourself!” Lots of organizations have ‘outsourced’ their change management planning and actions to an ‘internal consulting’ function. However, does this absolve management of responsibility? I think not. How do we identify the ‘right’ role for managers to have when things are changing all around them? Don’t they need help (sometimes all of the help they can get!)? Absolutely. Change management specialists are just as critical as financial experts are to investors or mechanics are to car owners! And just like those examples, everyone has a special role to play. We’ll be exploring those roles in the coming weeks. What roles have you seen played well (and not so well) in organizational change projects?